Fill out this form to register now for the Munro Leys Suva Challenge 2019. Please complete the questions below and choose either Yes or No. All information given is kept strictly confidential. Speak with a health professional first if you have a temporary illness such as a cold or fever, if you are pregnant, or if your health changes. PLEASE READ THE FOLLOWING CAREFULLY BEFORE SIGNING BELOW AS THIS WILL OR MAY AFFECT YOUR LEGAL RIGHTS. I have fully read and understand the above questionnaire and participate freely in physical activity at my own risk. If at any point my medical status should change, I will seek medical advice before continuing with this event for increased safety. 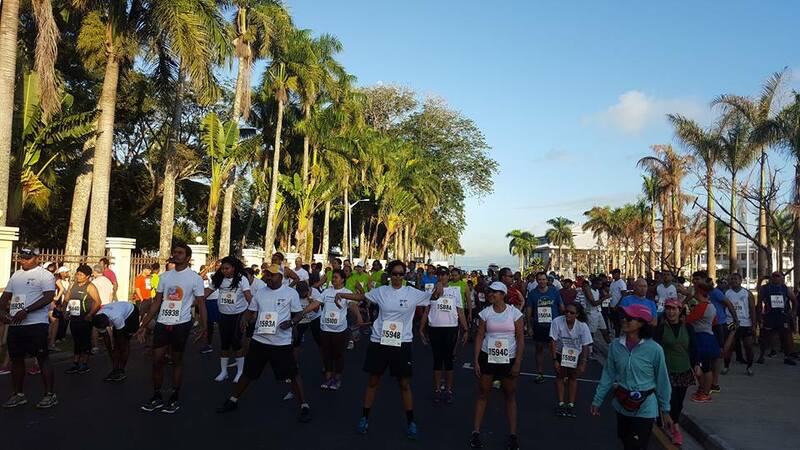 I agree that I am participating in the Suva Marathon event at my own risk. I HEREBY RELEASE, WAIVE AND DISCHARGE The Suva Marathon Club or any of its organizers, affiliates, suppliers, members, sponsors, promoters, volunteers, servants, agents or organisations (including the shareholders, directors, owners, employees, or agents of those organisations) who own venues at which I may be present during the Suva Marathon, on any matter arising out of or connected with my participation in The Suva Marathon from and against any and all claims for any and all loss or damage suffered whatsoever by me which arises out of, or is in any way connected to or resulting from my participation in The Suva Marathon. This release is intended to include, but is not limited to, liability due to the negligence of The Suva Marathon Club or any of its organizers, affiliates, suppliers, members, sponsors, promoters, volunteers, servants, agents or organisations (including the shareholders, directors, owners, employees, or agents of those organisations) who own venues at which I may be present during the Suva Marathon, regardless of whether such negligence is active or passive. I give permission to the Suva Marathon, and each of their respective parents, predecessors, successors, affiliates, subsidiaries and agents, for the free use of my name, photograph, voice, or likeness, in any broadcast, telecast, advertising promotion, or other account of the event or marketing or promotion for future or similar events, and waive any rights of privacy I may have in that regard. I further understand and consent that I will periodically be receiving communications related to my participation in the event. I hereby INDEMNIFY, PROTECT, DEFEND AND HOLD HARMLESS the The Suva Marathon Club or any of its organizers, affiliates, suppliers, members, sponsors, promoters, volunteers or organisations (including the shareholders, directors, owners, employees, or agents of those organisations) who own venues at which I may be present during the Suva Marathon, on any matter arising out of or connected with my participation in the Suva Marathon. from and against any and all liabilities, damages, claims, suits, losses, causes of action, liens, judgments, medical and all other expenses (including court costs, legal fees, and costs of investigation), of any nature, kind or description arising or alleged to arise by reason of loss or damage to property, injury, or death of myself or any other person or third party whatsoever, which arises out of, or is in any way connected to or resulting from my participation in The Suva Marathon. BY SIGNING THIS AGREEMENT I ACKNOWLEDGE THAT I HAVE READ AND UNDERSTOOD THIS RELEASE AND WAIVER OF LIABILITY, ASSUMPTION OF RISK AND INDEMNITY AGREEMENT, AND HAVE SIGNED IT FREELY AND VOLUNTARILY WITHOUT ANY INDUCEMENT, ASSURANCE, GUARANTEES OR WARRANTIES, EXPRESSED OR IMPLIED, BEING MADE TO ME. Please tick the Waiver Agreement above to show the Submit button!